It is all to easy to undervalue Charles Chaplin, something that can be seen even in some early reviews for this site. His camera style, primitive even by the standards of the silent era, offers few thrills for the aesthetically minded. His infamous sentimentality becomes the focal point of critical distrust and a convenient excuse to attack a sacred cow. And as a comic, he lacks the technical dazzle of Keaton, the epic audacity of Lloyd, often suffering when placed in (meaningless) competition with his peers. Pound for pound, this may be Chaplin's funniest feature. Why then, should it be at the bottom? For one thing, it shows off the least ambition of any of Chaplin's full-length films, content to remain in a single area and to play harmless jokes that do not even stretch the possibilities of circus performance, much less comment upon it. For another, the relative lack of sentiment cited by some as the film's greatest virtue is wrong. The Circus doesn't lack sentiment, it woefully misapplies it. True, Chaplin does not put much pathos into The Circus, but what is there is lazy, arbitrary and almost self-parodic. The mistreatment of the ringleader's daughter marks a sub-Dickensian misstep for an artist who elsewhere made himself Dickens' equal, and it is amusing that those who pooh-pooh Chaplin's sentiment tend to favor this, the worst example of it. 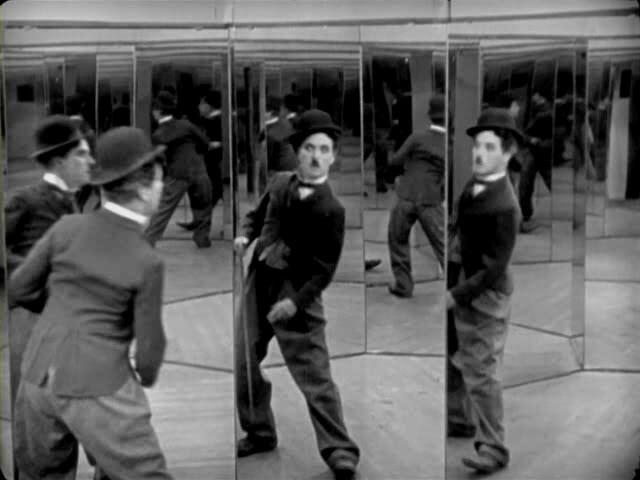 Nevertheless, the slapstick bits mark the highpoint of Chaplin's physical comedy, from the marvelous early chase through a funhouse (complete with an extended hall of mirrors bit that forecasts the finale of The Lady from Shanghai) to all the acrobatic stunts in the circus, which Chaplin handles with precision while also giving the impression that the Tramp is doing it all by freak accident. Chaplin's first directed feature shows off the filmmaker's talents at their rawest. Its setup is thin, and its emotions exist at the surface, a bundle of nerve endings exposed to the wind. The climactic chase, of the Tramp ambling over rooftops to catch up to the truck taking his adoptive urchin to an orphanage, is one of Chaplin's most basic yet most thrilling setpieces and an early showcase for the emotional power of cinema. 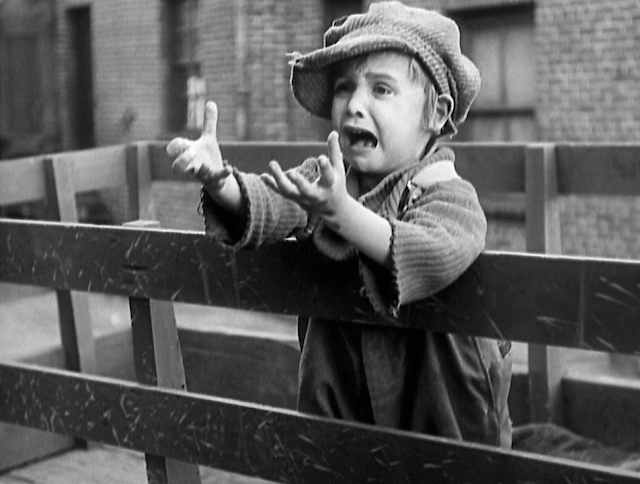 Elsewhere, Chaplin is buoyed by Jackie Coogan, who gives one of the great child performances. Their rapport is natural, harmonious, and hilarious. If the climax points toward Chaplin's later, more refined emotional peaks, the underplayed comedy between Chaplin and Coogan also points toward the great strides the director would later make with even subtler acting. Also a treat for the sly recurring gag of the father and son's con game, effectively creating work for themselves through mischief (a joke repeated more benignly in The Gold Rush and far, far more viciously in Monsieur Verdoux). 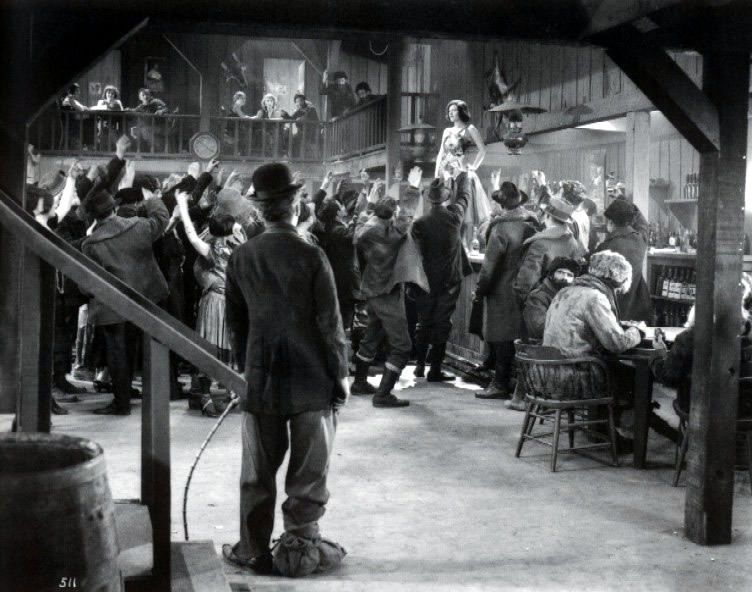 Nearly a decade after The Jazz Singer hit theaters, Chaplin was still clinging stubbornly to the silent form, and Modern Times deftly combines his anxieties over sociopolitical realities in the Depression (a period he largely sat out despite presaging it with his Tramp character) with his fear of obsolescence as a filmmaker. These dual fears converge best in the early, iconic image of the Tramp being passed through the inside of industrial machinery as just another cog or, conversely, as a strip of film through a projector. Either way, Chaplin is being used and spit out unceremoniously, and the combination of populist zeal and self-pity is never matched anywhere else in the film. Then again, even this glorious scene feels like a tacked-on bit from City Lights, which said in the throwaway gag of the politicians' tinny squawking everything Modern Times wants to say in 90 minutes. Chaplin suffered his first flop when he stayed completely behind the camera for this 1923 drama about a woman unable to be with her lover because of his parents' disapproval, a separation that eventually turns her into the sort of person they always considered her. This grim staging of self-fulfilling prejudice marks a tremendous leap in storytelling ability for Chaplin, and Edna Purviance, his friend, ex-lover and trusted colleague, gives a nuanced, layered performance that may not have impressed audiences but was a watershed for other filmmakers. Chaplin, though depressed by the poor commercial reception, did not forget what it taught him, and his later features all benefit from the subtlety and depth he explored in this downbeat work. Chaplin's final feature is also the one that most routinely comes in for a beating, uniting the casual admirers and die-hard fans in dismissal. 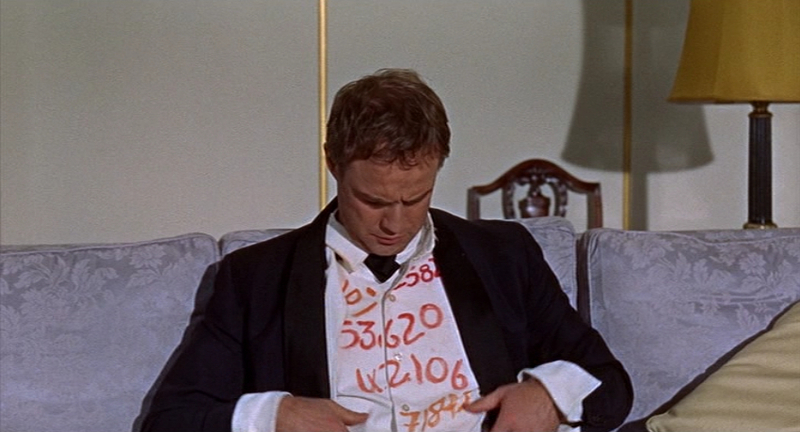 Yet this much-maligned piece, featuring Marlon Brando at his most modulated and manipulated and Sophia Loren as, essentially, the Tramp, is a beautiful farewell for the artist (the mise-en-scène is among Chaplin's most vibrant) and his most purely comedic work since Modern Times. But to call it a return to form—his or anyone else's—would be inaccurate. As Richard Brody has said, Chaplin revises his interpretation of slapstick to be the result of "efforts to conform to bourgeois propriety." That shows a fundamental growth on Chaplin's part even at the end—this is at least the second major thematic overhaul of his love of physical comedy in his career. It also, when one considers how similarly Tati employed slapstick in that year's Playtime, proves that Chaplin, who turned to both color and widescreen for the first time, was modern to the last frame. Chaplin belatedly moved into sound, but he made up for it by presciently slamming Hitler and America's reluctance to enter the war. 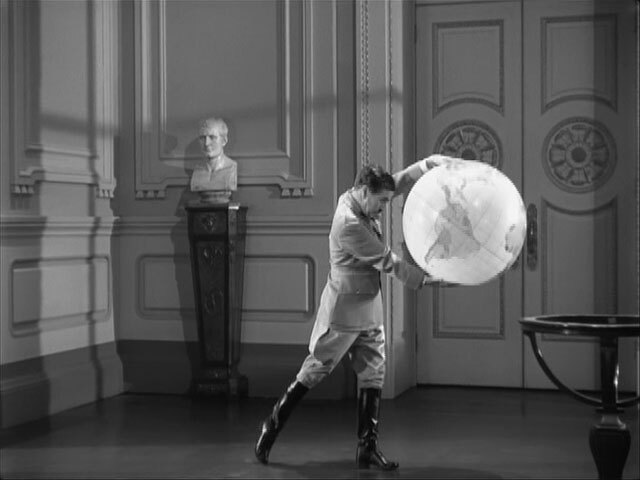 Though Chaplin typically structures his films as a series of vignettes, The Great Dictator displays a command of narrative progression integral to the satirical effect of the film. By starting in World War I, Chaplin grounds the film in historical and atmospheric tones, establishing the circumstances that might see a figure like Hynkel/Hitler come to power before slowly but surely deflating the iconic figure and revealing him to be a fool. 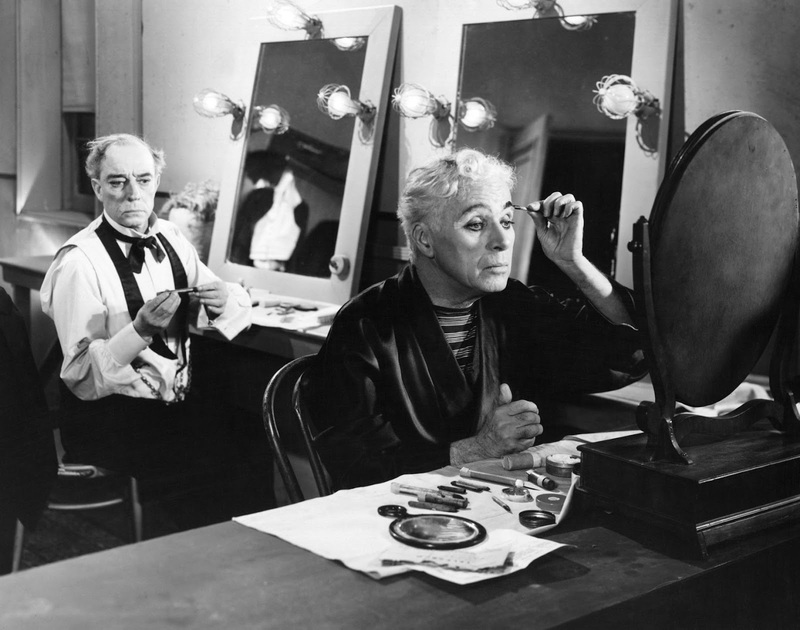 Playing two roles, Chaplin teases a Prince and the Pauper scenario throughout, but he only delivers on it at the end when the audience has had time to consider the implications of a Jewish barber passing for the Hitler stand-in. And that much-contested final speech delivered by the barber-as-Hynkel (and really, as everyone admits, just as Chaplin) may be didactic, but one should note that Chaplin's rant against hatred extends beyond German anti-Semitism and comes rather closer to home. At face value, Chaplin's most self-pitying work, the tale of a has-been superstar trying to have one last bite of the cherry before fading away. To be sure, the climax of Chaplin and Buster Keaton performing a glorious travesty of a show-stopper, is as devastating as it is thrilling, a reminder of what and who we as a people allowed ourselves to forget. Yet the rich layer of irony under everything lends even the most heartbreaking moments an air of defiance. In embodying an outdated, miserable clown, Chaplin paradoxically rejuvenates himself, and when Calvero goes out the way he wanted, he does not represent Chaplin's own departure but the expulsion of all the things that could weigh him down. 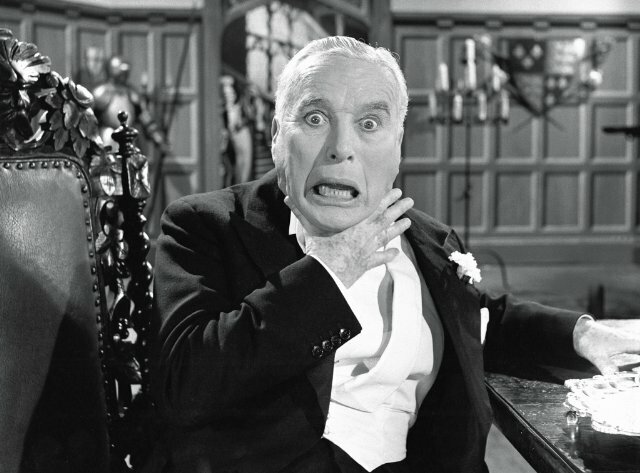 Granted, he only made two more films after this, but Chaplin freed himself with Limelight. A King in New York builds off the deceptive self-justification of Limelight, swapping the departing (or departed, rather) for the returning, defaced royal who suffers further indignities back in America. But really, the "return" merely sets the stage for Chaplin's own counterattack, an attack on contemporary American culture dated in some spots and disturbingly timeless in others. His gags at the expense of teen music and CinemaScope do smack of age and disconnect, but his jabs at a country in thrall to paranoia find solid traction. Chaplin's own son, Michael, even gives Jackie Coogan a run for his money in terms of great child performances, playing a radical child who parodies Chaplin's tendencies for preaching by annoyingly spouting off Marxist rhetoric without provocation. But he also makes for one of Chaplin's most vicious, agonizing scenes when the lad returns late in the film having sold out and named names to protect his parents, shuffling around as if lobotomized and barely able to inhale without breaking into fresh sobs of self-loathing. The only counterpoint to such darkness is Chaplin's slapstick, presented as a weapon against fascistic thought control in America as it was for the same in Germany in The Great Dictator. God knows I love me some Pre-Code films, but compare their contemporary look and feel to the "obsolete" City Lights and tell me which is more timeless. From the aforementioned sound joke to the depiction of a millionaire's suicidal depression as almost a luxury compared to what the Tramp and the blind girl go through on a daily basis, Chaplin hints at the more barbed nature of films to come. 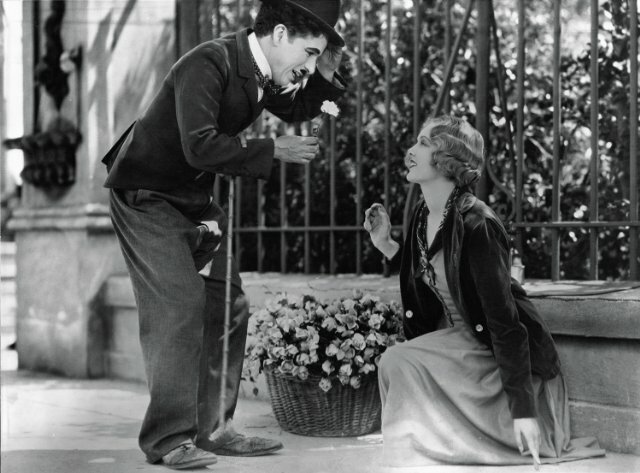 But this also marks the apex of his sweetness on film, with Chaplin's interactions with Virginia Cherrill painstakingly romantic despite, and even because of, the Tramp's occasional lapse of peevishness. Then there's the finale, perhaps the greatest in cinema, a masterfully acted swell of apprehension and loving hope that could cause flash flooding from the onslaught of tears it elicits. 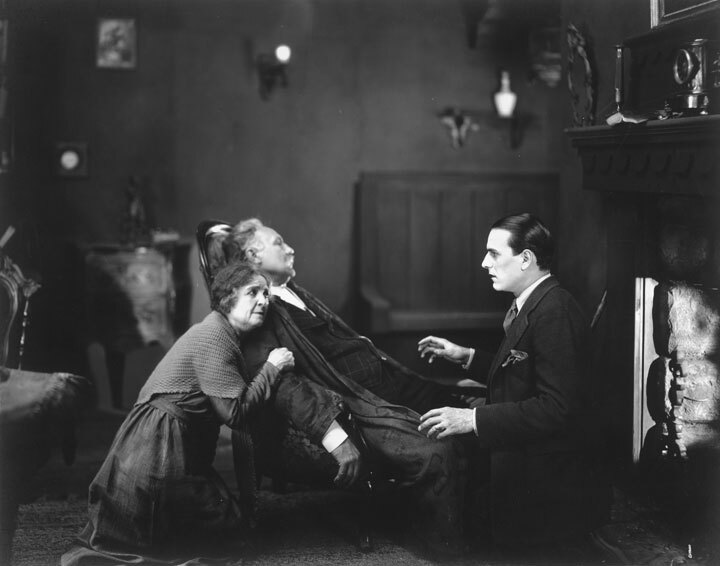 Mixing the raw sentiment of The Kid with the subtle dramatic refinement of A Woman in Paris, The Gold Rush attains such a mastery of emotional control that the routine hilarity of its gags is almost a secondary pleasure. But to consider one without the other would rob the film of its immaculate construction, with every gag—no matter how separate from the narrative at hand—joined seamlessly to the rest of the film as soon as it concludes. Everyone remembers the reverie of the roll dance, that most delicate of physical gags. But how many recall that immediately after this wonderful moment, Chaplin crushes the Tramp back to reality with the realization of abandonment and loneliness? No Chaplin film so fluidly offers character depth without losing a second of pace. Chaplin’s postwar satire bowed to intense critical savagery and commercial failure, yet none of his films has aged so well. A vicious attack on capitalistic values, Verdoux inverts the Tramp’s inner sweetness and outward defeat into a heinous Bluebeard figure who marries and kills rich widows to take their money. 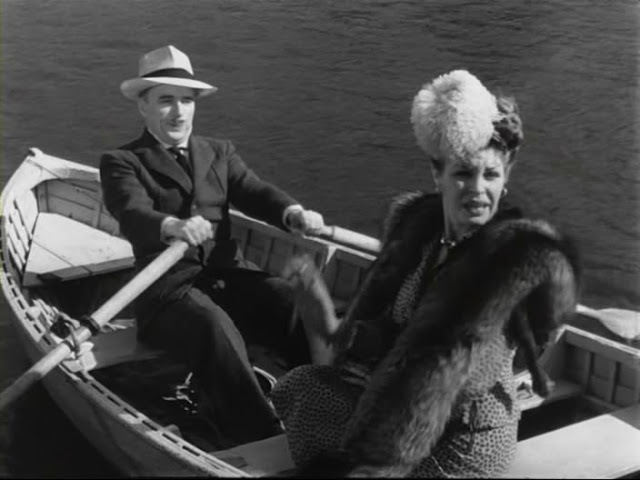 Verdoux’s self-justification takes capitalism to its dark extremity, but James Agee was right to note the effectiveness with which Chaplin also crafts a psychological portrait of a man who relies so completely on his wife’s love to absolve him that the loss of that relationship is doubly devastating for tearing the veil from his eyes. Verdoux's speech to the judgmental crowd at his trial, in which he notes the way that higher numbers always "sanctify" in murder and that they shall all meet him again someday in a hot place, reaches such levels of acidic bile as have never been replicated in American film. Next to this, Dr. Strangelove is as sociopolitically explosive as a Judd Apatow movie. Great list Jake. I am regrettably under-exposed to Chaplin outside of his obvious classics (The Gold Rush, Modern Times, City Lights). He's never appealed fully to my tastes, and other films have gotten in the way, but I really should just watch this stuff. This is a nice place to start and a fine way for you to begin the blogathon. Carson: I was in this boat for quite some time. But I think that a distrust of movie sentiment in general keeps people from exploring the true depth of Chaplin's creations. The way he savaged but also defended himself in his late talkies revealed the complexity and even darkness that went into his most saccharine moments. I was more an admirer at first, but watching and rewatching all his features recently was one of my biggest film epiphanies. 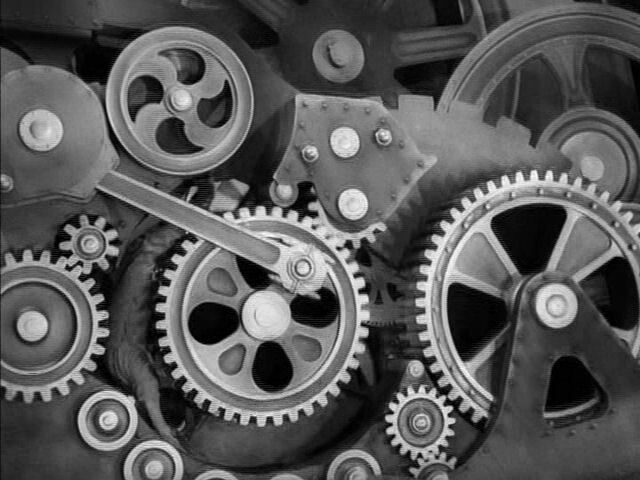 classics (The Gold Rush, Modern Times, City Lights). He's never appealed fully to my tastes, and other films have gotten in the way, but I really should just watch this stuff. This is a nice place to start and a fine way for you to begin the blogathon.